This eye makeup actually quite easy, i mix green and purple to create this Disgust inspired eye makeup. 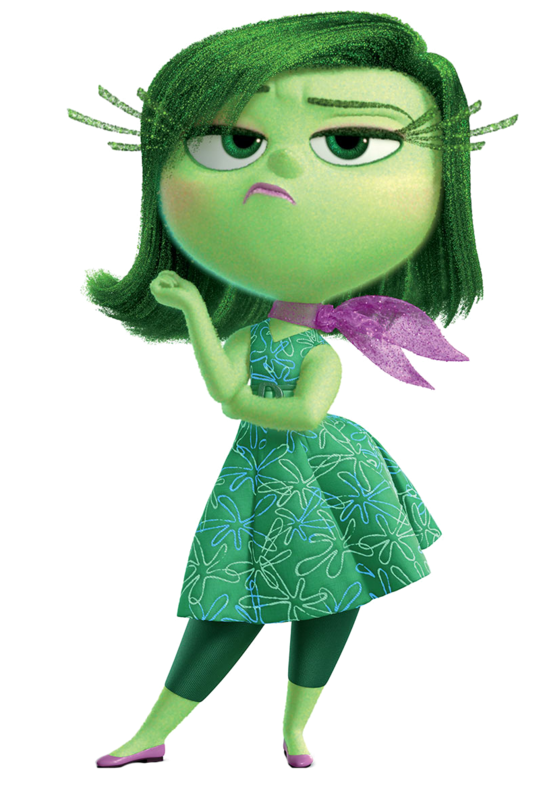 Since you see, Disgust is mostly green, but she also have this touch of purple on her scarf, shoes, lips and cheek. Plus, i also add glitter! 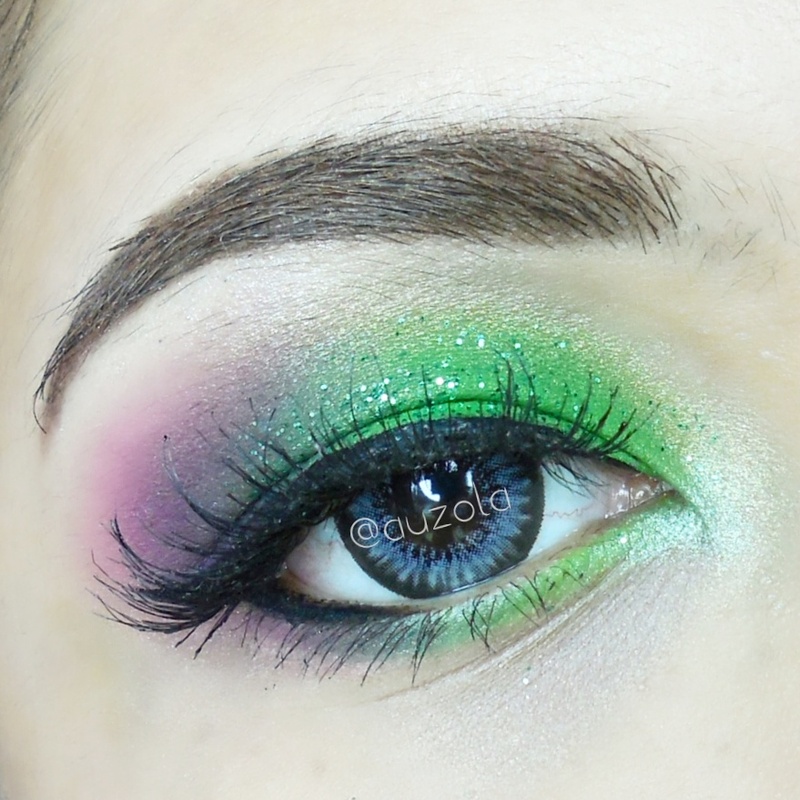 And here goes the tutorial for Inside Out Disgust eye makeup! 2. 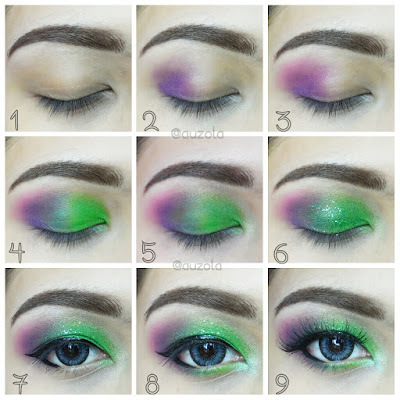 Apply purple eyeshadow on the outer corner of your eyelid. 3. Add a bit fuchsia eyeshadow on the top on it and blend it outward. 4. Apply green on your eyelid and blend it a little with the purple part. 5. Add some shimmering white eyeshadow on your brow bone and also a little on the inner corner area. 6. Add green glitter! Just dab-dab the glitter on top of the green eyeshadow. 7. Create a winged eyeliner and also add half of eyeliner on the bottom part. 8. 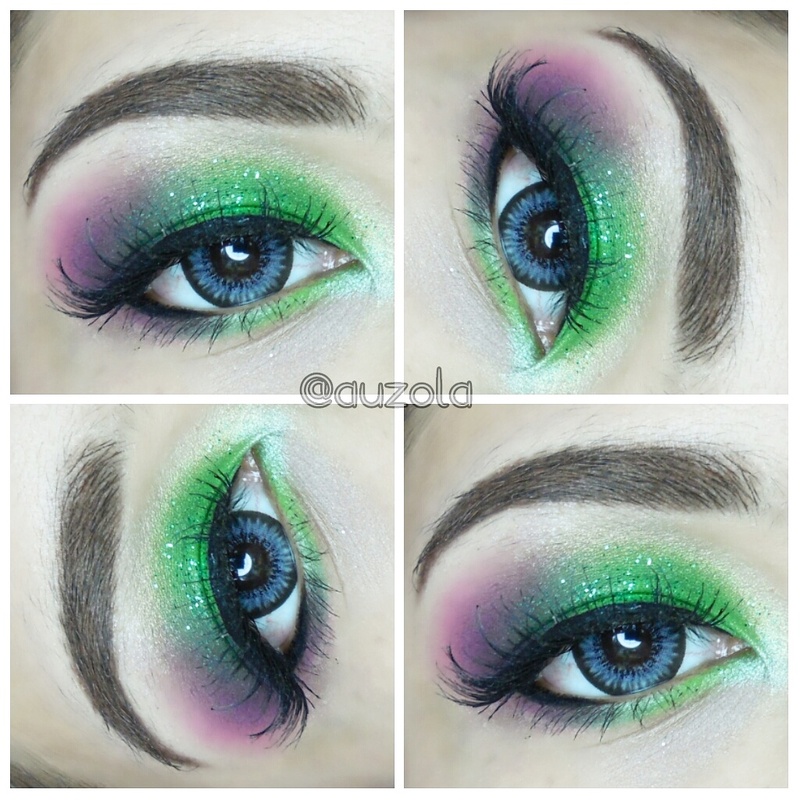 Add purple and green eyeshadow on the bottom of the lower eyeliner. 9. Put on some mascara and falsies! That's all my tutorial for now, i hope you enjoy this one and stay tuned for the Inside Out Sadness eye makeup tutorial! Coming soon! lampunya kudu oke nampaknya, tapi ini juga hasil awal fotonya masih ga se-wah aslinya, jadi biasanya gw edit dikit light dan contrast nya biar warnanya mirip sama yang asli hahhaha..